It would be a mistake to think that washing fleets of transit vehicles is a simple matter of splashing on generous amounts of soap and water and applying a fair bit of elbow grease. Properly washing any vehicle relies more on the chemical cleaners being used. This is because shifting dirt and dust is the least of any bus and truck wash cleaners problems. Corrosion is also a concern, and knowing how to clean a vehicle while also neutralizing any corrosive effects is a key focus for any professional wash service provider. In fact, corrosion is one of the greatest financial drains on the transport industry. According to a 2002 report commissioned by the US Federal Highway Administration, titled “Corrosion Cost and Preventive Strategies in the United States,” the direct cost of corrosion in the transportation industry is a staggering US$ 6.45 billion. The reports also highlighted that a principal causes of corrosion is the road salts used as deicers throughout North America to combat the hazard presented by icy winter conditions. 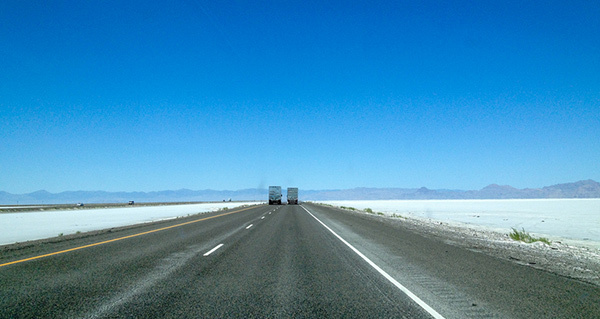 In the US, straight forward salt (or sodium chloride) has long been used to deal with road ice, but more recently, calcium chloride (CaCl2) and magnesium chloride (MgCl2) have been used because they are more effective and less expensive. But the calcium and magnesium chlorides not only trap compacted deposits of sand and dirt (which causes major chloride corrosion), they also pull moisture from the atmosphere, thus adding to the corrosive damage. So, how can this scourge be countered? Experts now say that effective vehicle wash systems and correct detergent technology can neutralize the corrosive impact of road salts. Basically, if you choose the right chemical solution and are thorough in your approach, road salt corrosion can be adequately dealt with. The principal problem with conventional vehicle washing techniques is that they concentrate on getting the exterior surfaces of a bus or truck clean, but they do little or nothing to deal with cleaning the insides of the vehicle too, including the underbody. This means that, as well as choosing the right chemical cleaner to neutralize the corrosive effects of the deicers, it is necessary to apply a 3-stage cleaning process – arguably, the most effective way to prevent corrosion. Conventional bus and truck wash cleaners are either neutral or alkaline, and are therefore unable to break down salt deposits. However, some low pH detergents are highly effective in beating the corrosive effects of these road salts, making them soluble and easier to remove. A perfect product for this role is Velocity Chemicals’ ABF, an aluminum brightener, etchant and cleaner. Though a heavy-duty aluminum brightener, it has a PH of less than 1.0, and is ideal for removing road film, rust, oxides, light oils and greases. Because road salts can seep under floor mats and into other spaces inside the vehicle, corrosion can spread from the inside out. Therefore, interior cleaning is as important as exterior cleaning, especially in luggage compartments which are located so close to the ground. Also low PH (less than 2.0), ETCH FREE II is an acid-based aluminum and stainless steel cleaner that is perfect for using on interior polished metal surfaces. High foaming, it is highly effective at removing rust and oxides. Most of the corrosion caused by road salt occurs on the underside of the vehicle. The system should comprise a high-pressure water flush to break up compacted soil deposits, before applying a high pH detergent to the undercarriage of the vehicle. This is best done through foaming nozzles as the bus drives through the wash. Thankfully, the necessary underbody wash equipment is relatively inexpensive and simple to install. On heavy vehicles and equipment, MOBIUS is a tougher, highly concentrated, foaming vehicle detergent which is ideal for removing road film, insects, bugs and light oil and grease. It is used for brushless pre-spray and high-pressure wand wash applications. Through this 3-stage cleaning process (with the right chemical products), maintenance costs can be significantly reduced, while corrosion can be kept in check and general cleanliness maximized. Cleaning Solutions that Clean Better! At Velocity Chemicals, we offer a comprehensive solution to the challenges that bus and truck wash service providers face every day. That’s because our range of truck, large vehicle and car wash detergents and soaps are designed not only to clean but to “Clean Better”. The VC Difference? Many vehicle and fleet wash service providers actually use the wrong chemical cleaners. But we analyze of your chemical delivery system and wash equipment in detail, so that we can recommend the right choice of chemicals for you. Not only that, but we will train your staff on the proper use of our chemicals and monitor the entire operation to ensure you achieve the best cleaning results. The VC Benefit? Like all businesses, professional vehicle and fleet washing service providers like you have challenges to overcome before you can enjoy profitability. Our range of products helps to increase both the effectiveness and the efficiency of your cleaning service, helping you towards a greater level of profitability. Our line of chemical cleaners and polishes includes truck and large vehicle washing and professional car washing detergents, of which ABF, ETCH FREE II and MOBIUS are just 3. It also includes degreasers, floor cleaners, sanitizers, low and high pH presoaks, foam detergents, drying agents, triple foams, clear coat sealers and protectants, tire, rim and wheel cleaners and many specialty products for a variety of industries. So, whether you face routine dirt or the toughest cleaning challenge, Velocity Chemicals has a cleaning solution for you!